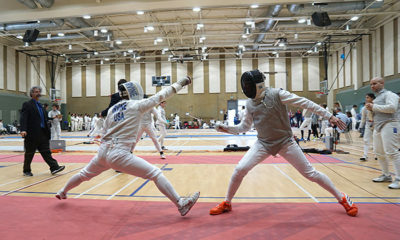 Karen Bei (Team Touche Fencing Center, San Diego) scores a decisive touch on Evan Ogilvie (Battle Born Fencing Club, Nevada) in the round of 16 at the SoCal Open on Saturday. 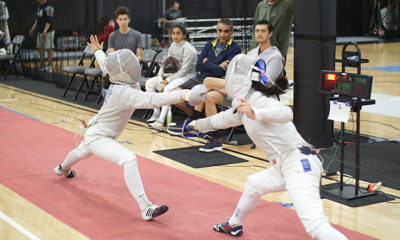 The combined SoCal Open and Summer National Qualifier tournaments were held on the campus of Cal State University, Northridge on March 30. 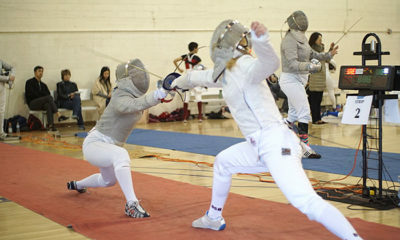 One hundred and twenty-seven fencers ranging in age from Y-14 to Veteran competed for medals and the chance to fence in the Summer Nationals in Columbus, Ohio (June 28 – July 7, 2019). 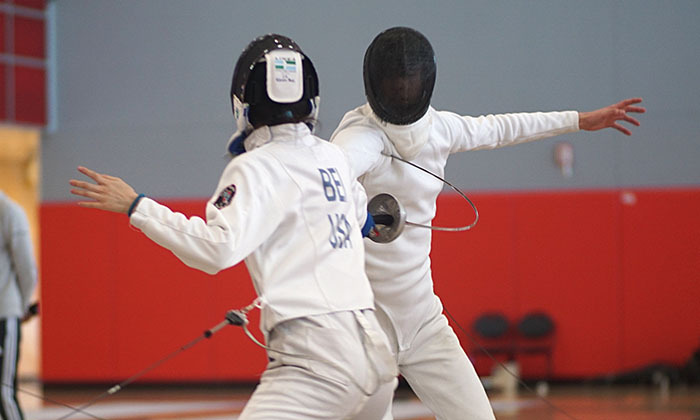 Congratulations to all our medalists, and good luck to our qualified fencers in Ohio! SoCal Open medalists are listed below. Full results can be found here. 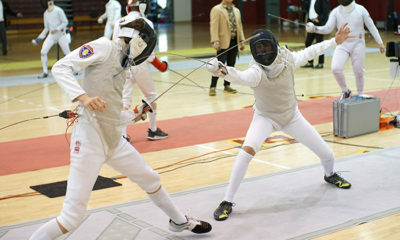 Fencers who qualified for the Summer Nationals are listed below. Full results can be found here.